I highly recommend getting this if you have K2 or looking for more information about it. 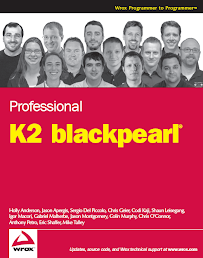 You will learn best practices, how to approach building workflow solutions, best practices for K2, detailed architecture, administration, reporting and advanced topics. 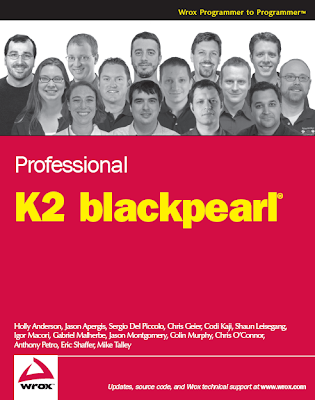 This was written by both consultants and engineers that have successfully used K2 to deliver workflow solutions.